Curious link that of the thermostats, it remembers me a year ago or so when I had to dismantle a small electric fryer I use often to reinstall its thermostat's rotative knob, as it would easily slip out with just a little bending of the fryer's plastic case front, a frequent happening when washing the fryer in the sink for an oil change. The fryer thermostat has a couple flimsy filaments whose precise distance determines its trip point and due to me somehow giving a hit to the thing, the trip point ended up tuned too late. Gave me some quarreling and a second filament distance adjustment session (advanced quarreling) as the oil wasn't getting very warm. Once I had it working right again I ended up sealing the fryer's frontal from below with hot glue to avoid any possibility for the knob to slip out again. Geesh! Guys, if you are from CANADA, paying the commision fee for AEDe and converting to Euro is actually less expensive overall for both Canadians and AEDe. This is due to the fact that the Friends and Family Fee is higher than 5% when going from another country, compared to paying the 2.99$CA fee, if you order under 60$CA of stuff, and the fact that the Canadian dollar is stronger against the Euro compared to the US in terms of value. TLDR: Canadians, add 5% to your order to count for the commission fee if your order is under 60$CA instead of Family and Friends, and convert the money to Euro. It will be both easier, and less expensive for the both of us. 351B are received. I’ll send PM today. About commission fee. I see only 3.9%+.35€ or 0.3$ for sending via “to friends and family”. P.s. Lol, I’m already tired of understanding these “transparent” PP commissions. Pp already get 10% from each payment with currency exchange. And looks like it wants more. It depends on the country of origin, which is why I specified Canadians. Some of use have it very expensive for some reason. As an example, it costs me 3$CA to send you the money. Meaning purchases under 60$CA are less expensive even if I add the 5% commission. Sent PM, sent PPbux, I think we’re good to go! I think everything’s all dotted, crossed, etc., but let me know if I forgot anything. Sent PM and paid too. My supplier has no plan to restock 351D Hicri(3000, 4000 6000K). But it is posible to order whole reel(800pcs).So please express you interested and maybe we would organise another GB. Nicely packaged in protective cardboard but I did not realize until too late that the film of the individual LED package strip was sticky taped to the cardboard so when I pryed it apart they pinged out all over the place. LOL. If you end up really liking them I could probably spare a few from my order. Thanks mate, I’m just foolin’ around . I still have the 5 I ordered which should do me. I haven’t decided what to do with them yet. Yes I should mention be careful removing scotch tape. It turn out too strong. 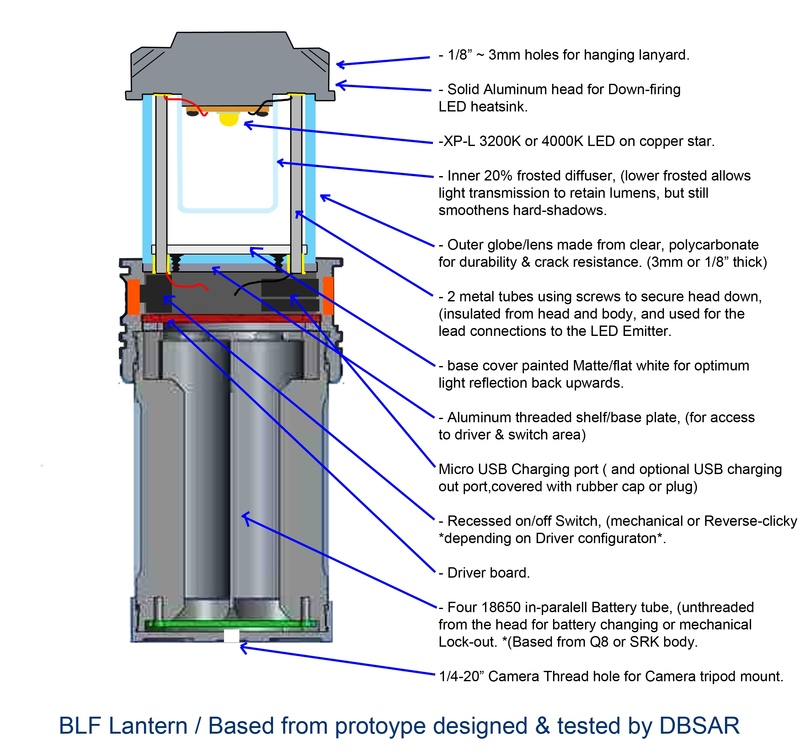 Hey AEDe, perhaps, since you can buy a reel, you could inform DBSar about the high CRI 3000k Samsung LH351B as an emitter choice for the BLF lantern project. Actually I don’t know about details of this project. Can you post link for discussion about led for this project or something similar? For poject I can offer much lower price. Yes, as Tally Ho said, the Samsung 351Bs would be perfect for this project, and would be much better suited to this BLF lantern project than the XPL. There are 700 lanterns at the minimum to be manufactured, so a complete LED reel would be perfect. I will PM DBSar for more info. Edit: BTW, AEDe, can I still buy some 351Bs? I would like to know. Cool project that of the lantern. The LH351B is a 5W rated emitter, it could help to use multiple emitters and be able to get much more output. With quad 3535 boards like these, the lantern could be configured either with 4S battery, buck driver and 2S2P emitters or 2S2P battery, boost driver and 4S emitters; for examples. The boards can be bought in bulk much cheaper, of course. I still have about 10 pcs 351B 3000K. But I can send it only in 2 week. OK perfect. Get them all 10 of 351Bs for me, I’ll send you the PM soon. BTW, from the PM, DBSar is interested in the LED, since it is an excellent emitter and cheap. Sent you the PM and payment for the 10×351B emitters. My order arrived today safe and sound. Thank you AEDe. Aaauuugh, mine are still in or just left Москва. Looking forward to reviews and first impressions!